To protect the value of its patent assets, BlackBerry Ltd (NYSE:BB) filed a patent infringement lawsuit March 6 against Facebook, Inc. (NASDAQ:FB). Should the owners of Facebook stock be worried? The last thing that Mark Zuckerberg wants is more bad press for Facebook. Fake News already took the fun out of running the world’s biggest social media company. In the big picture, the lawsuit filed by BlackBerry will likely end up being nothing more than an irritating distraction. However, there is a remote possibility that the Los Angeles U.S. Federal Court throws the book at Facebook and grants an injunction against the social media giant prohibiting it from infringing on BlackBerry’s seven software patents effectively neutering all three of Facebook’s messaging apps. That’s likely what the company’s lawyers are most concerned about; not any possible financial settlement it might have to make. Until that possibility disappears and the situation becomes a negotiation leading to either said financial settlement or a patent licensing agreement with BlackBerry, Facebook stock could face severe headwinds in the meantime. Facebook naturally has dismissed the suit as nothing more than an attempt to shakedown the social media giant and will fight the suit in court possibly countersuing BlackBerry for its infringement of Facebook patents. Any hint that BlackBerry has a case will hurt Facebook stock, but those odds are very long, indeed. The last time Facebook fought a big patent lawsuit was in 2012. Yahoo was the plaintiff at the time. 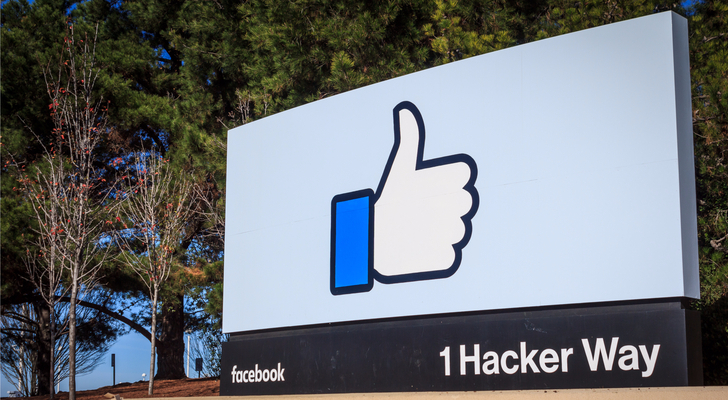 Facebook countersued; shortly after that both parties sat down and negotiated a settlement that saw no cash exchange hands and a stronger partnership between the two companies. I can’t claim to know what Zuckerberg is thinking on this matter, but I would guess he’s interested in putting this in the rearview mirror as soon as possible. In fiscal 2018, BlackBerry notched one victory (Qualcomm) and one defeat (Nokia) in arbitration awards with the two companies, netting it $683 million. Given Facebook has $42 billion in cash on its balance sheet, a $1 billion settlement would cost the company less than 2.5% of its hoard, a number hardly worth losing any sleep over. The FB stock price is up less than 2% year to date through March 6. My guess is the patent infringement lawsuit from BlackBerry will have far less an effect on Facebook stock than the Facebook app’s slower user growth. I’m still a fan of Facebook stock, but you’ll want to keep a close eye on how things proceed in the coming weeks. Article printed from InvestorPlace Media, https://investorplace.com/2018/03/facebook-stock-blackberry-war/.